A group of fifth graders at Francis Wyman School are using the Keys to Literacy Comprehension Routine to deepen their understanding of text and non-text. The students are part of an intervention group that is becoming successful in using Top Down Topic Webs and Two Column Notes! This week’s lessons involved reading an article from NEWSELA, taking Two Column Notes, and determining the central idea of the article. Students were then successful paragraph writers! Way to go boys and girls! During our first meeting, students read the article, Above and Beyond: Teacher’s Letters Make Former Students Feel Special by Sun Herald. The article was found on Newsela, a database of current events stories tailor-made for classroom use. Students worked to complete scaffolded Two Column Notes about the article. Taking Two Column Notes allowed students to record key supporting details. Students gained practice in gathering and organizing information (as well as practicing their reading fluency) as they reread parts of the text multiple times. At our next meeting time, students revisited the news article and their Two Column Notes. Students were guided to determine the main ideas embedded in their notes. There was a rich discussion of the big ideas. Listening to the students converse, and even debate, was exciting. Proud moment! Students added to their Two Column Notes as the conversations took place. Students used their Two Column Notes to write a short paragraph that explained the central idea of the article. They worked independently to show what they knew. Students used the KTL routine as they increased their comprehension skills. 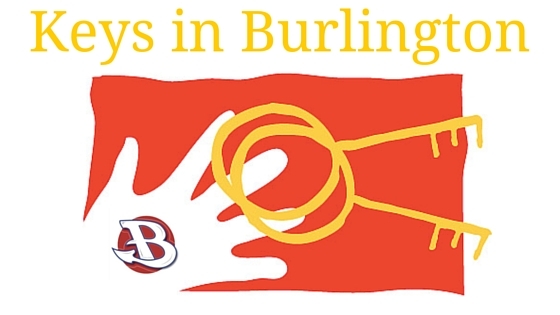 All in all, an exceptional learning experience for our Burlington students! As a Reading Specialist, I am loving what the Keys to Literacy Comprehension Routine is doing for my students. Students are becoming active and strategic readers!